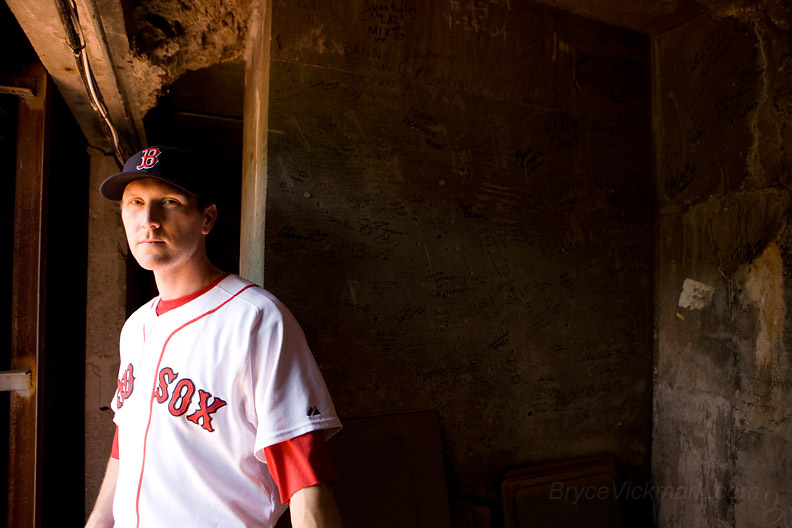 I photographed Red Sox player Jason Bay at Fenway Park for the Sporting News last month. 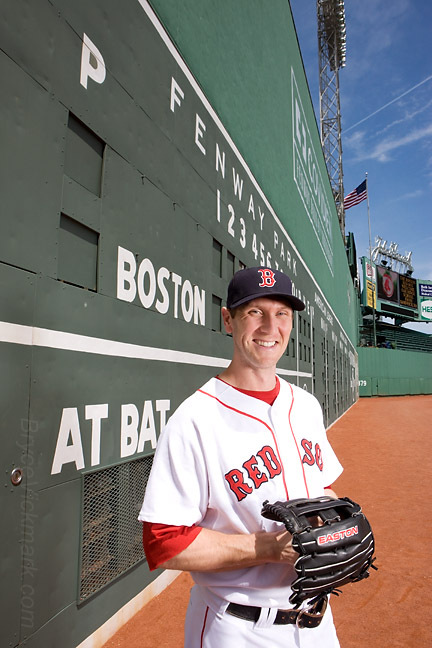 It was a truly incredible experience to meet the “new” left fielder and photograph him inside the manual scoreboard room and in front of the Green Monster for the Sporting News. They used the second photo below for the lead of a story about the top stadiums in Major League Baseball. The issue is currently on news stands. 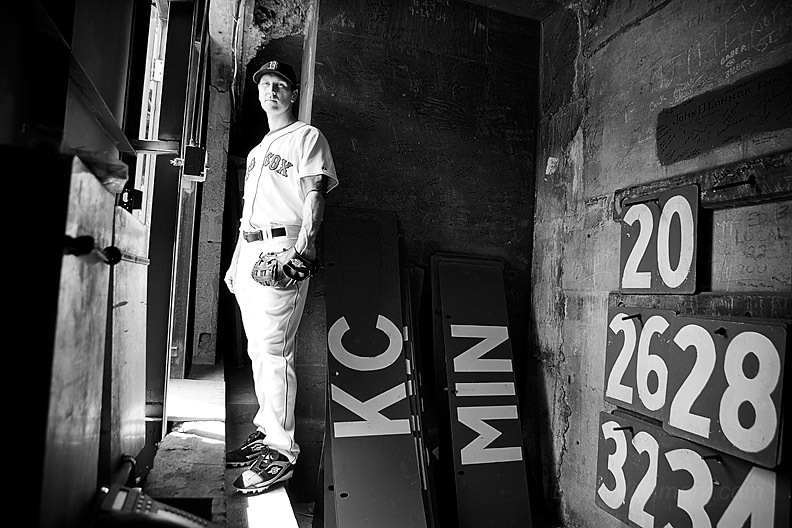 I was happy to see Jason Bay named as a starter recently to the 2009 All Star gamer. He was extremely friendly and accommodating. Afterwards I hung out for the beginning of batting practice and got some shots in the dugout of Dustin Pedroia and Julio Lugo which are below. Special thanks to Pam Ganley of the Boston Red Sox for all of her help during the shoot.